and taste the same as birds reared on a conventional diet. Omega 3s are polyunsaturated fatty acids which, as a key part of a balanced diet, help to maintain normal heart, brain and vision function. Research undertaken in 1999 across 36 countries found that those who consume high levels of omega 3 considerably lowered their risk of heart disease and stroke. 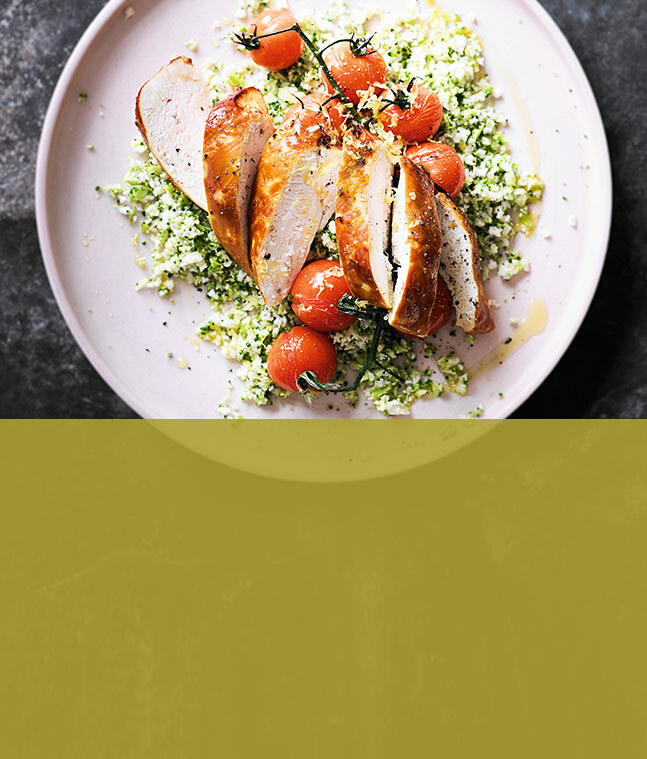 The unique approach has been developed by Waitrose in partnership with its chicken supplier Moy Park and feed specialist Devenish Nutrition. The decade-long project follows medical concerns that people are not eating enough omega 3, particularly children, who often do not like oily fish – the usual source of omega 3. Its purpose was to come up with a more popular protein containing the fatty acids. 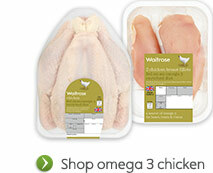 Initial trials show that people eating the chicken for just 5 weeks have increased levels of omega 3. A larger and longer study is under way to understand the effects more deeply. The innovation has been received positively by academic Patrick Wall, professor of public health at University College Dublin, who added: ‘This is actually going to revolutionise nutrition. The idea that you can make an everyday product healthier suggests you could have a huge impact on health.’ Despite leading authorities recommending regular consumption of foods containing omega 3, research suggests that only 23% of the UK’s adult population consumes the recommended intake. The omega 3 birds are reared to Waitrose’s bespoke high welfare standards, which include plenty of natural light and more space than the industry standard, allowing the birds to display their natural behaviour. The flavour and texture of the meat is not affected by the changes to the chickens’ diet. Omega 3 chicken is a source of omega 3. Omega 3 fatty acids contribute to the normal function of the heart & maintenance of normal brain function & vision. Beneficial effect is obtained from a daily intake of 250mg of omega 3 fatty acids as part of a healthy balanced diet & lifestyle. Selected stores. Subject to availability. Serving suggestion.